I've been spinning like a demon of late, and interspersing that with socks and BIG shawls. It felt like ages since I finished a knit, so I felt like I needed a win. I went to my queue and looked at what was near the top of my queue. 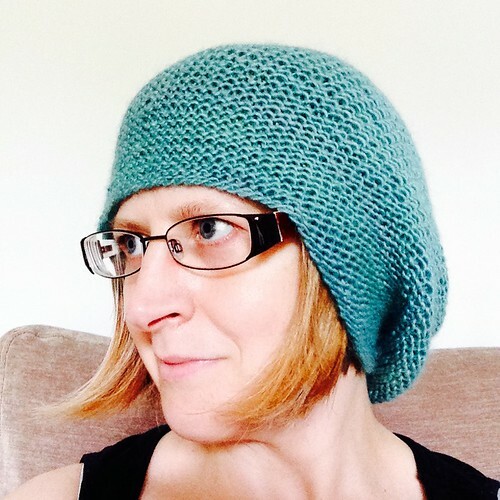 I found the perfect project, Rikke Hat by Sarah Young. This is a free pattern and I'd seen quite a few people on podcasts and blogs who had made the pattern and really liked it. 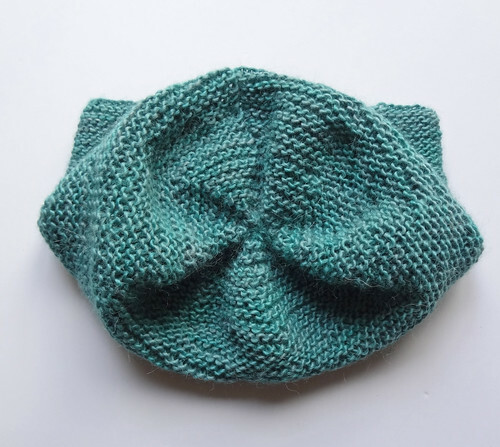 It also ticked my current hat requirement boxes; squishy and slouchy. I queued this pattern after buying some lovely yarn that seemed to be suitable for it. 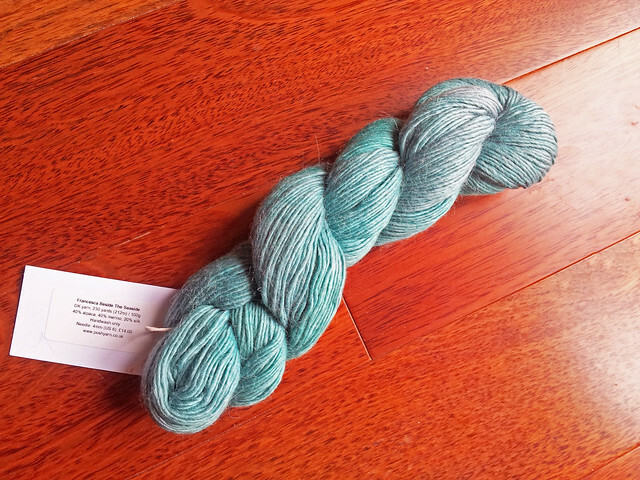 That yarn was from Posh Yarn and was Francesca DK, which is a 40% merino/40% alpaca/20% silk singles yarn, and it is as lovely as it sounds. This means I used some more from my older stash, which is always a good thing. This yarn was so incredibly soft, every stitch of this hat was pure bliss. 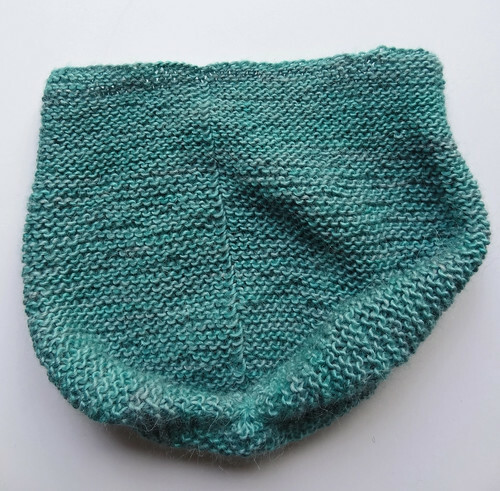 The hat is knit in the round and is garter stitch, which actually means knitting one row and then purling the next. Some people haven't enjoyed this so have either knit flat and seamed up or done wrap and turns at the back seam. 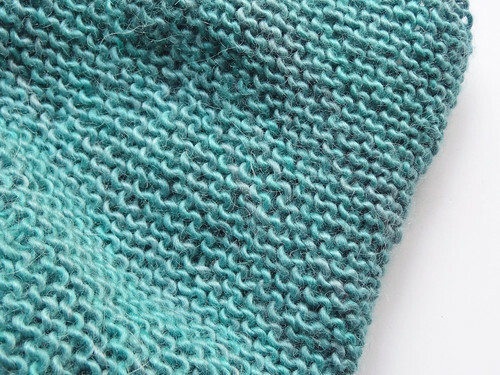 Personally, purling doesn't bother me at all because of the way purling is done in combined knitting, which is almost as easy as the knit stitch. I just love the way this yarn looks in garter stitch. I love the way Tony dyes yarn. There is such subtle layering of tones in his semi-solid colours. This hat is unbelievable soft. I just want to wear it and it's WAY to warm for this kind of yarn to be on my head right now. This pattern was the first time I'd tried a German Twisted Cast On. I really like the way it looks. I must remember it. I used the book Cast On, Bind Off by Leslie Ann Bestor, and the instructions are on page 41, where it is referred to as The Old Norwegian Cast On. I also started with the recommended needle 3.5mm and really liked the fabric, but the gauge was way too loose. I decided to reduce the cast on numbers to 96. You work the brim and then go up to a larger needle for the body of the hat and then reduce at the top. I do like the way the crown looks too. The reduced number of stitches meant that the crown decrease instructions were a simple adjustment to make, just reducing the number of stitches between decreases by one. I adore this hat. It is soft and flattering and unbelievably warm and light. It sheds like nobody's business, but I don't think I care! I don't think I'll ever get tired of how slouchy hats look and feel! They also take no time at all to make. This took all of two days, from start to finish. It really was a quick win, exactly what I needed!